Fall in love with the Yogini update! PUMA Lifestyle apparel marries the essence of sports performance with the refined finishes and detailing of the fashion industry. dryCELL performance fabric wicks away perspiration to promote a comfortably dry personal climate. Perfect for low to medium-impact sports. Multi-straps creates a stylish back design. Deep scoop neckline. Removable foam cups for added shape and support. Elastic under bust creates a comfortable fit. Logo hit at left chest. 85 percent polyester, 15 percent elastane Lining: 89 percent polyester, 11 percent elastane Front Inner Shell: 91 percent polyester, 9 percent elastane Inserts: 82 percent nylon, 18 percent elastane. Machine wash, dry flat. Imported. If you~re not fully satisfied with your purchase, you are welcome to return any unworn and unwashed items with tags intact and original packaging included. You live in your leggings and we get why! PUMA Performance apparel combines technical fabrics and ergonomic construction to meet the rigorous demands of athletes. 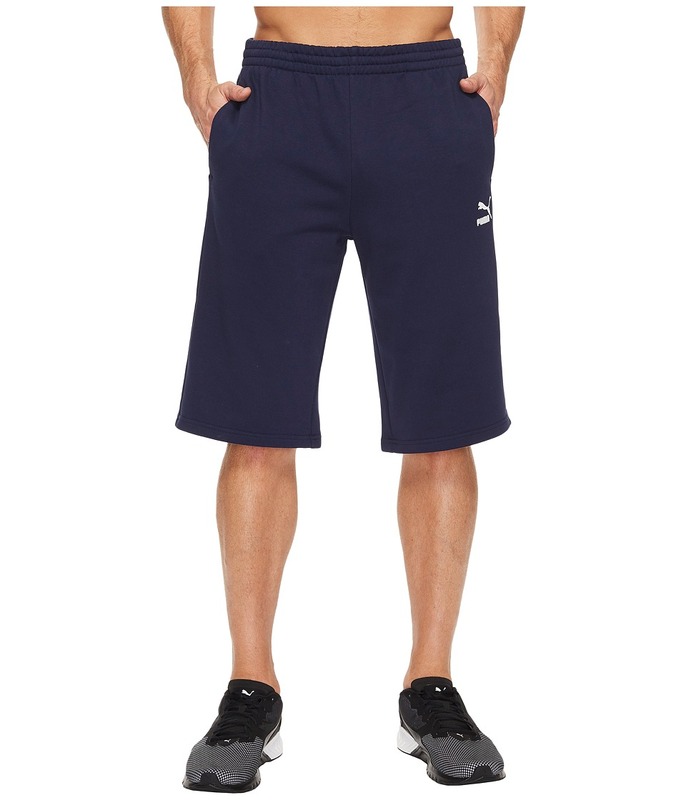 dryCELL performance fabric wicks away perspiration to promote a comfortably dry personal climate. Slim fit. High waistband creates a flattering fit and comfort during exercise. 90 percent cotton, 10 percent elastane. Machine wash, tumble dry. Imported. Stay warm from the first drive to the final putt. PUMA Performance apparel combines technical fabrics and ergonomic construction to meet the rigorous demands of athletes. PWRWARM ceramic-print technology retains heat to keep you comfortably warm. warmCELL highly functional and breathable materials retain heat and maintain an optimum temperature in cold conditions. Polyfill insulation traps in heat to keep you warm. Reversible construction for stylish versatility. Stand collar. Full-length zip closure. Sleeveless design. Zippered hand pockets. Cat Logo at left chest. Straight hem. Shell/Fill: 100 percent polyester. Machine wash, tumble dry. Imported. Measurements: Length: 29 in Product measurements were taken using size SM. Please note that measurements may vary by size. 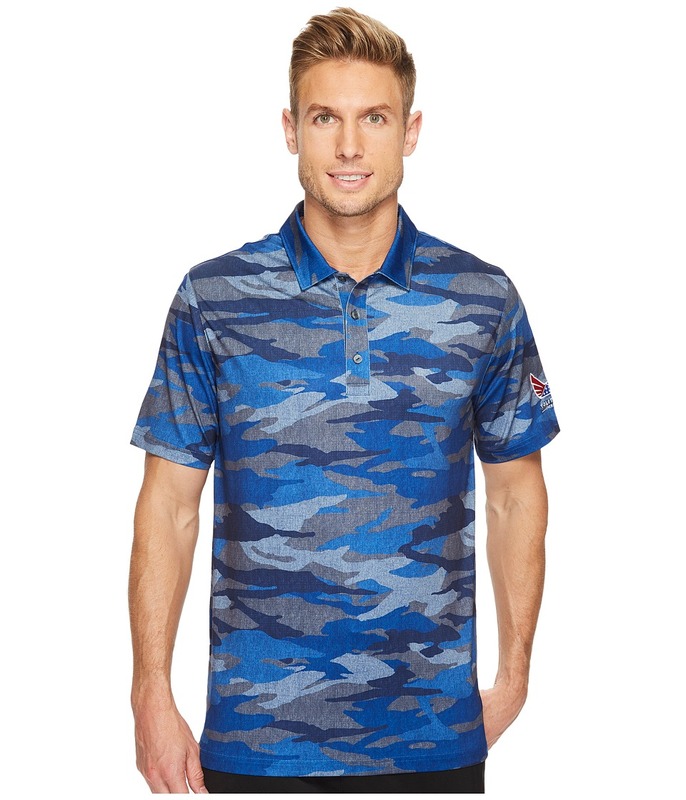 Spread the love across the fairway in the Volition Camo Polo. PUMA Performance apparel combines technical fabrics and ergonomic construction to meet the rigorous demands of athletes. Part of the Volition Golf Collection. dryCELL performance technology wicks away perspiration to promote a comfortably dry personal climate. Lightweight poly-stretch blend offers all-day comfort and increased mobility. Fold-down collar. Three-button placket. Short sleeves with Volition logo sewn on left arm. High-low hem with vented sides. 92 percent polyester, 8 percent elastane. Machine wash, dry flat. Imported. Measurements: Length: 30 in Product measurements were taken using size MD. Please note that measurements may vary by size. Fade in from the background and walk the links with confidence. PUMA Performance apparel combines technical fabrics and ergonomic construction to meet the rigorous demands of athletes. Part of the Volition Golf Collection. warmCELL highly functional and breathable materials retain heat and maintain an optimum temperature in cold conditions. UPF 50+ fabrication protects skin by blocking harmful Ultraviolet A B rays (UVA/UVB). Stand collar for additional warmth and coverage. Zippered placket. 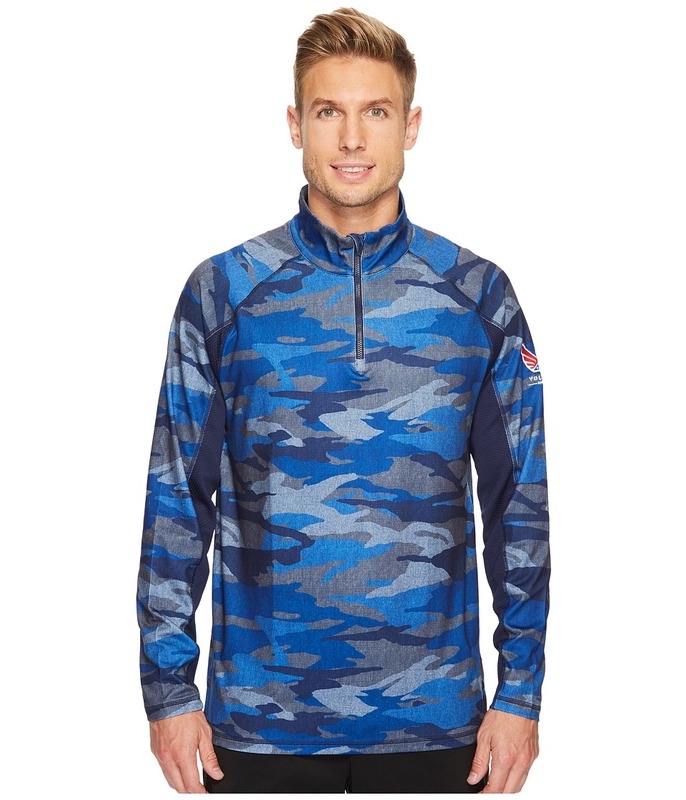 Long raglan sleeves allow arms full range of movement and eliminate shoulder seam chafing. Mesh underarm panels for enhanced ventilation and airflow. Straight hem. Shell: 94 percent polyester, 6 percent elastane Inserts: 100 percent polyester. Machine wash, dry flat. Imported. Measurements: Length: 30 in Product measurements were taken using size MD. Please note that measurements may vary by size. Spread the love in the PUMA Golf Volition Tee. Part of the Volition Golf Collection. 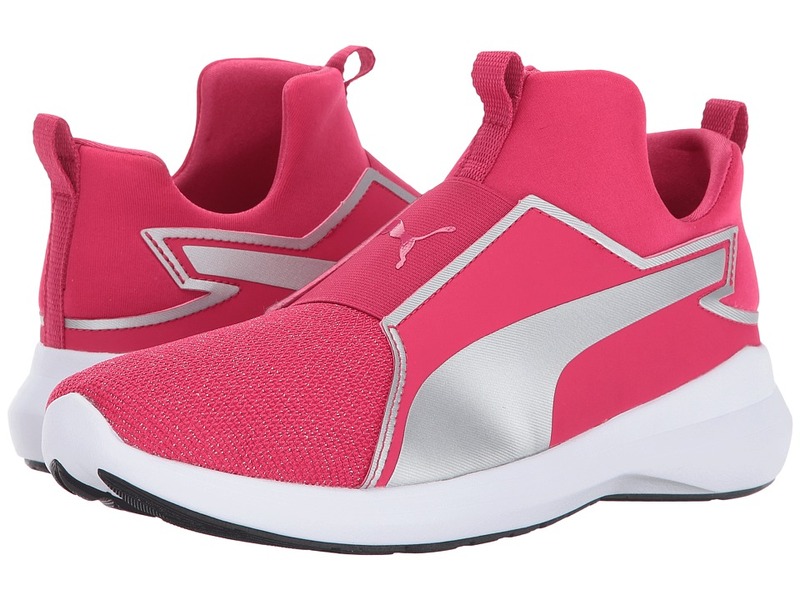 PUMA Lifestyle apparel marries the essence of sports performance with the refined finishes and detailing of the fashion industry. 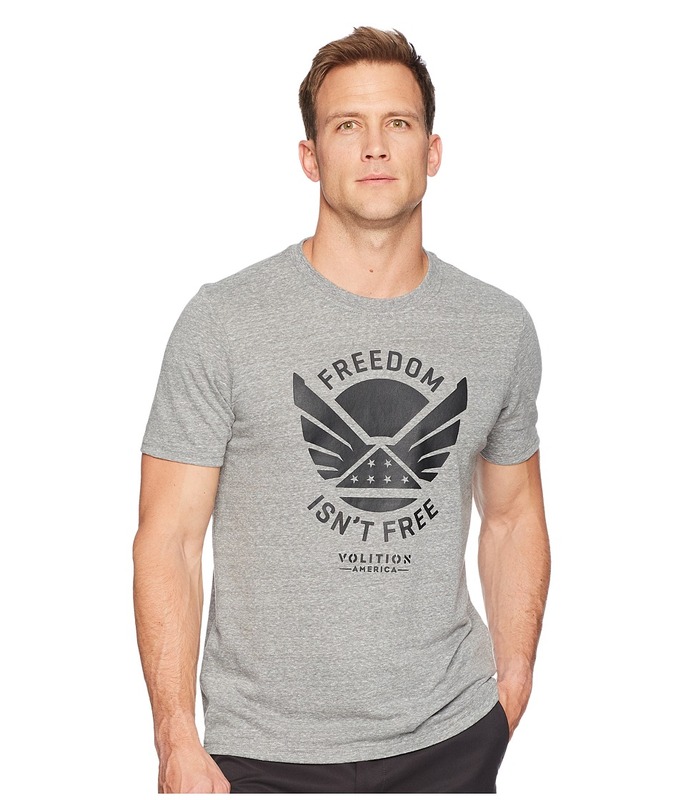 Soft cotton jersey sports Volition America graphics in front. Rib-knit crew neck. Short sleeves. Straight hem. 53 percent polyester, 34 percent cotton, 13 percent viscose. Machine wash, tumble dry. Imported. Measurements: Length: 29 in Product measurements were taken using size MD. Please note that measurements may vary by size. This short is up for the challenge and so are you! PUMA Lifestyle apparel marries the essence of sports performance with the refined finishes and detailing of the fashion industry. Elastic waistband with internal drawcords help secure your fit. Side seam pockets for easy storage. Strategically placed seams for a freedom of movement. Cat logo lands on left hip. 100 percent cotton. Machine wash, tumble dry. Imported. Measurements: Outseam: 24 1 2 in Inseam: 10 1 2 in Front Rise: 13 in Back Rise: 20 in Leg Opening: 23 in Product measurements were taken using size MD, inseam 10.5. Please note that measurements may vary by size. Sometimes you just need to keep things simple! PUMA Lifestyle apparel marries the essence of sports performance with the refined finishes and detailing of the fashion industry. Crew neckline. Short sleeves. Straight hemline. Iconic brand mark logo at chest and left sleeve. 100 percent cotton. Machine wash, do not tumble dry. Imported. Measurements: Length: 26 in Product measurements were taken using size SM. Please note that measurements may vary by size. Luxe detailing, bold style, and aggressive dimensions make the Puma Kids IGNITE Limitless Knit shoe a true game changer! Knitted upper with midfoot lockdown strap. TPU Kurim midfoot cage, TPU heel clip, and gore forefoot strap for ultimate support and durability. Reflective detailing for visibility at night. High-shine full-length TPU jewel piece runs along the top line of the tooling for a supportive ride. Injection-moulded EVA midsole for lightweight performance. Full-length IGNITE Foam drop-in for superior energy return. Crystal rubber outsole pods provide full ground contact and traction without weighing you down. Imported. Measurements: Weight: 10 oz Product measurements were taken using size 5.5 Big Kid, width M. Please note that measurements may vary by size. Weight of footwear is based on a single item, not a pair. 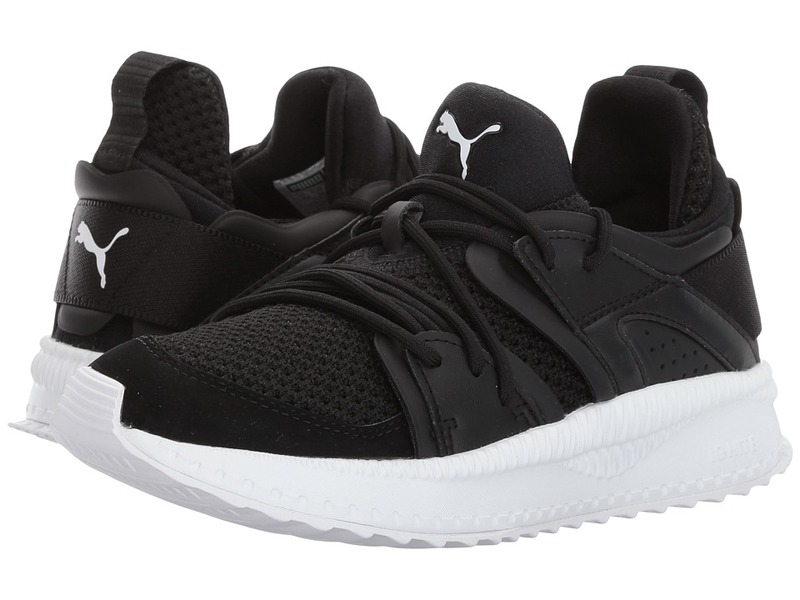 Taking cues from the past and revisiting them in a progressive way, the Puma Kids Tsugi Blaze shoe will keep them ready for athletic adventures in sporty style! Lace-up closure. Knitted upper with suede overlays. Neoprene bootie construction offers a superior fit. Woven heel gore detailing. IGNITE Foam for high-rebound cushioning. Non-marking rubber outsole for long-lasting wear. Imported. Measurements: Weight: 10 oz Product measurements were taken using size 6.5 Big Kid, width M. Please note that measurements may vary by size. Weight of footwear is based on a single item, not a pair. 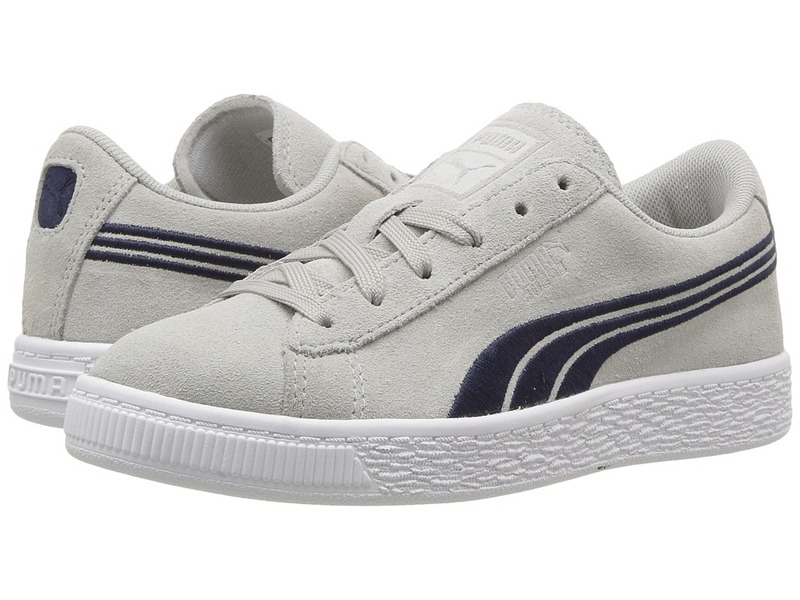 Bring old school style to your little one~s feet with the Puma Kids Suede Classic Badge shoe! Smooth suede upper. Lace-up closure for a snug, adjustable fit. Slightly padded tongue and collar for added support. Mesh lining creates a breathable wear. PUMA Formstrip at medial and lateral sides. Textured toe cap provides protection. Textured outer midsole creates style. Rubber outsole for long-lasting wear. Imported. Measurements: Weight: 9 oz Product measurements were taken using size 2 Little Kid, width M. Please note that measurements may vary by size. Weight of footwear is based on a single item, not a pair. They~ll always make a grand entrance with the clean aesthetic of the Puma Kids Basket Classic LFS shoe! Premium leather uppers with a round toe. A padded collar and tongue offers a comfy, cozy internal fit. Traditional lace-up closure for secure fit. Foil PUMA logo above Formstripe logo. Soft and breathable woven mesh and lightly padded footbed for all-day comfort. Low-profile rubber midsole with a ribbed toe bumper for added toe protection. Rubber outsole for long-lasting wear. Imported. Measurements: Weight: 10 oz Product measurements were taken using size 4 Big Kid, width M. Please note that measurements may vary by size. Weight of footwear is based on a single item, not a pair. 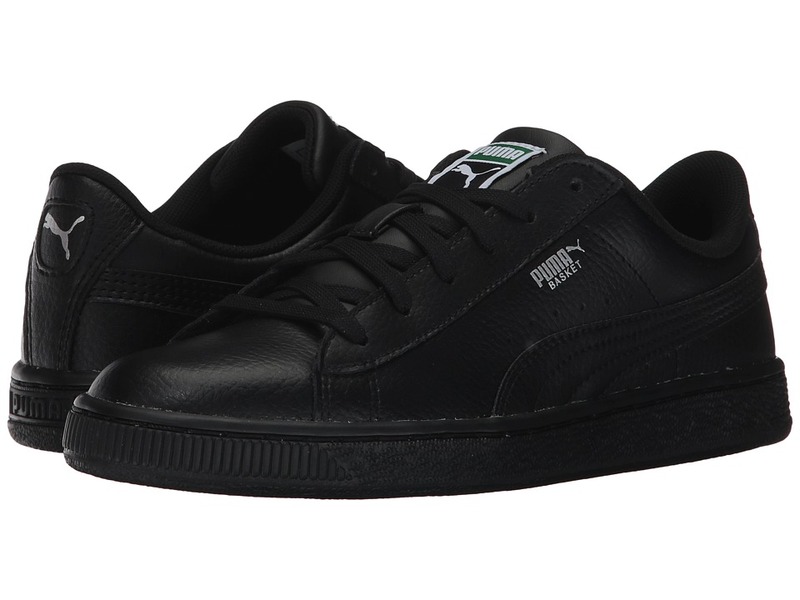 They~ll always make a grand entrance with the clean aesthetic of the Puma Kids Basket Classic LFS shoe! Premium leather uppers with a round toe. 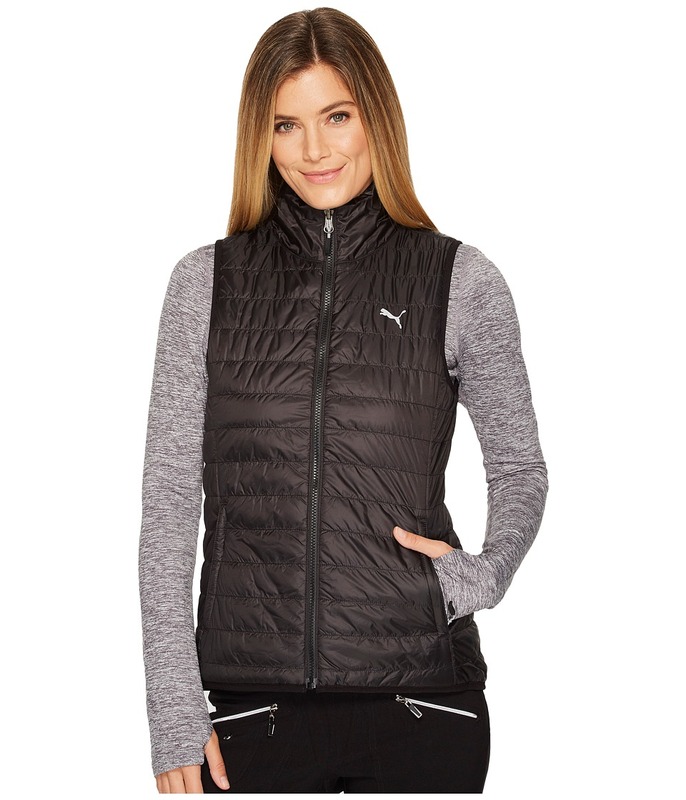 A padded collar and tongue offers a comfy, cozy internal fit. Traditional lace-up closure for secure fit. Foil PUMA logo above Formstripe logo. Soft and breathable woven mesh and lightly padded footbed for all-day comfort. Low-profile rubber midsole with a ribbed toe bumper for added toe protection. Rubber outsole for long-lasting wear. Imported. Measurements: Weight: 8 oz Product measurements were taken using size 2 Little Kid, width M. Please note that measurements may vary by size. Weight of footwear is based on a single item, not a pair. 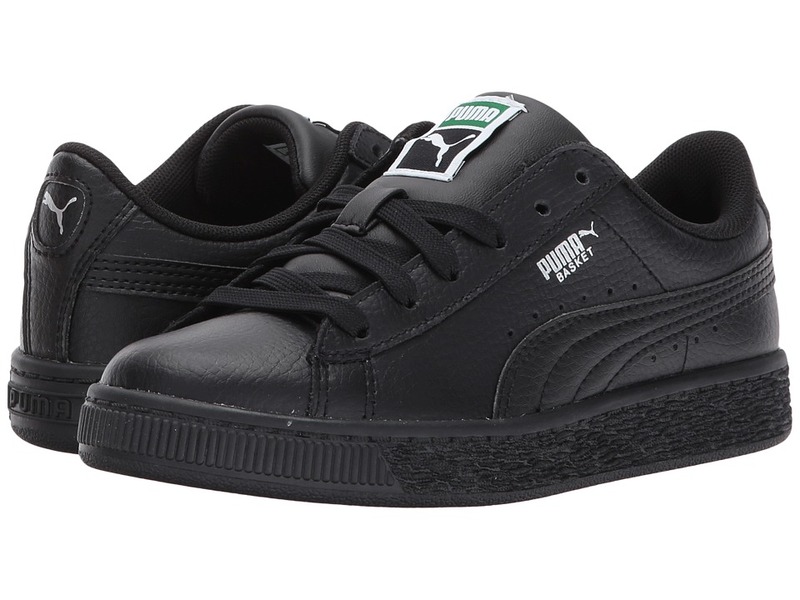 Keep your little one dressed in super-sleek style in the PUMA Suede XL Lace VR shoe! Suede uppers with a faux-patent heel patch and a round toe. Lace-up closure with plenty of metal eyelets for maximum customization. Lightly cushioned tongue and collar. Smooth synthetic linings. Tonal PUMA Formstrip at medial and lateral sides. Lightly padded foam footbed for added comfort. Rubber midsole and outsole for long-lasting wear. Imported. Measurements: Weight: 9 oz Product measurements were taken using size 2 Little Kid, width M. Please note that measurements may vary by size. Weight of footwear is based on a single item, not a pair. 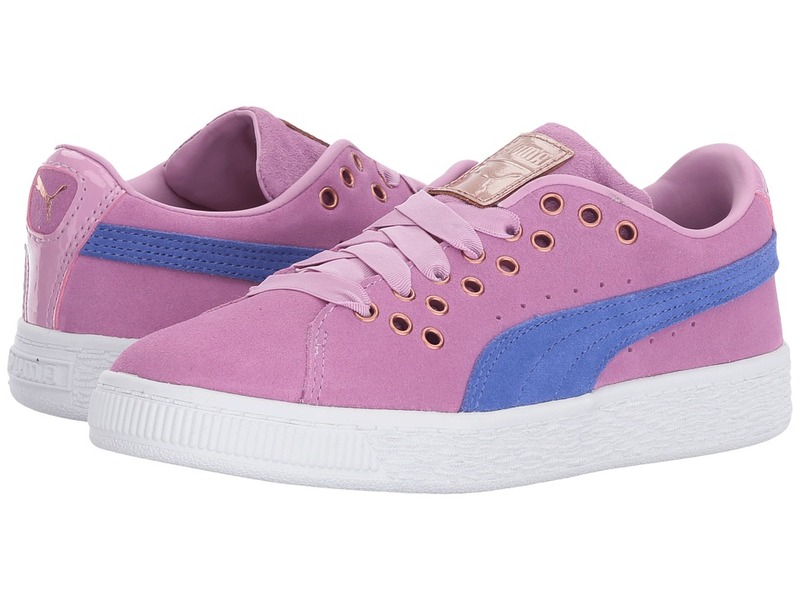 Keep your little one dressed in super-sleek style in the PUMA Suede XL Lace VR shoe! Suede uppers with a faux-patent heel patch and a round toe. Lace-up closure with plenty of metal eyelets for maximum customization. Lightly cushioned tongue and collar. Smooth synthetic linings. Tonal PUMA Formstrip at medial and lateral sides. Lightly padded foam footbed for added comfort. Rubber midsole and outsole for long-lasting wear. Imported. Measurements: Weight: 6 oz Product measurements were taken using size 9 Toddler, width M. Please note that measurements may vary by size. Weight of footwear is based on a single item, not a pair. Elevate their style with the retro-inspired Puma Kids Suede Platform SNK shoe! Rich suede uppers with perforations at midfoot. Round toe on a classic creeper silhouette. Lace-up closure for a snug, secure fit. Lightly padded collar for comfort. 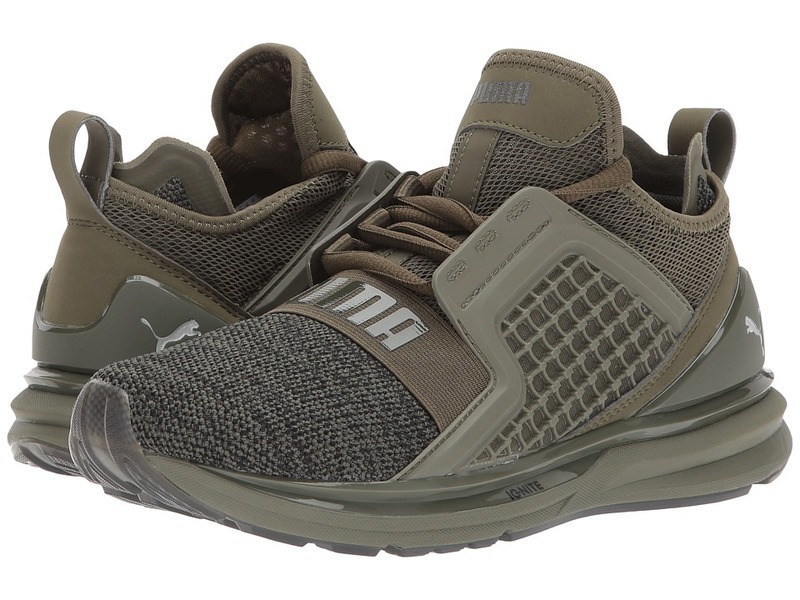 Mesh linings offer a breathable wear in shoe. Lightly cushioned footbed for added support. Platform rubber outsole with ridged tooling at toe Imported. Measurements: Weight: 14 oz Product measurements were taken using size 7 Big Kid, width M. Please note that measurements may vary by size. Weight of footwear is based on a single item, not a pair. The perfect shoe for the active mini-fashionista is here with the unstoppable attitude of the Puma Kids Rebel Mid Gleam shoe! Slip-on bootie construction with mesh and textile overlays for optimal lockdown, stability, and support. PUMA Cat Logo adorns tongue. Pull tabs at tongue and heel for easy on-and-off. EVA-injected midsole for optimum comfort. Exaggerated heel thickness at both sides for greater stability. Non-marking rubber outsole for grippy wear. Imported. Measurements: Weight: 8 oz Product measurements were taken using size 7 Big Kid, width M. Please note that measurements may vary by size. Weight of footwear is based on a single item, not a pair. 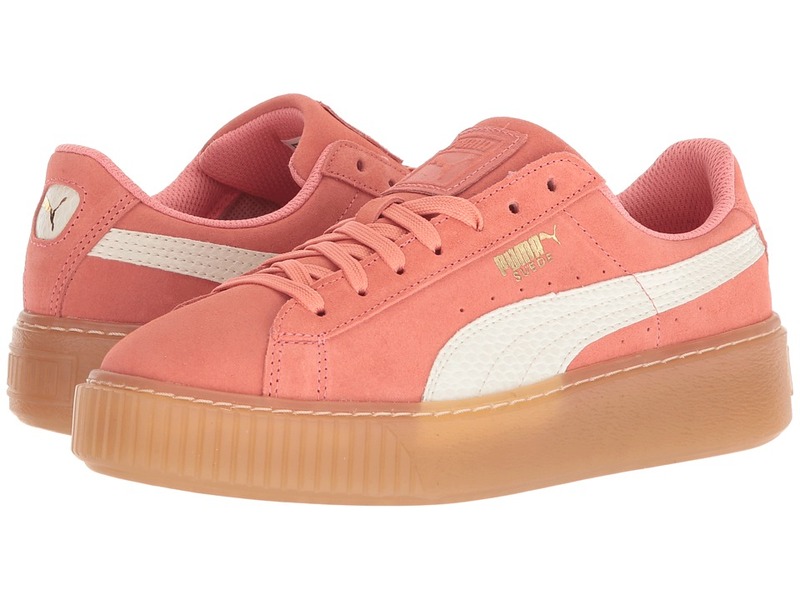 Elevate their style with the retro-inspired Puma Kids Suede Platform SNK shoe! Rich suede uppers with perforations at midfoot. Round toe on a classic creeper silhouette. Lace-up closure for a snug, secure fit. Lightly padded collar for comfort. Mesh linings offer a breathable wear in shoe. Lightly cushioned footbed for added support. Platform rubber outsole with ridged tooling at toe Imported. Measurements: Weight: 9 oz Product measurements were taken using size 2 Little Kid, width M. Please note that measurements may vary by size. Weight of footwear is based on a single item, not a pair.